This was a great year for Christian publishing. We saw the first installment of Justin Taylor’s edited version of John Owen, Overcoming Sin and Temptation. John Piper’s What Jesus Demands from the World was also excellent. Suffering and the Sovereignty of God, edited by Piper and Taylor and Evangelical Feminism: A New Path to Liberalism? by Wayne Grudem were also very good. We saw the release of the The ESV English-Greek Reverse Interlinear New Testament: English Standard Version. [Can someone at Crossway please give Justin Taylor a vacation already?] John Calvin’s excellent Sermons on the Beatitudes was released by Banner of Truth. Steven Lawson released the first volume of A Long Line of Godly Men, titled Foundations of Grace, which covers the history of the doctrines of grace in what is certain to become his greatest accomplishment. Reformation Heritage Books released the Works of Thomas Goodwin (12 volumes) in paperback form, containing much rich teaching on the beauty of Christ. No doubt, the second best book published this year was Mark Dever’s incredible, The Message of the Old Testament: Promises Made. Perhaps no book has better opened up the Old Testament storyline. Each of these books are tremendous accomplishments in themselves. I thank the publishers and their devoted writers, editors, administrators and warehouse managers who seek to magnify Christ in their publishing endevors. Thank you! With all respect for these books released in 2006, none topped Meet the Puritans by Joel Beeke and Randall Pederson. We had the honor of announcing this book to the public a few months ago. By any standard, this volume is a monumental accomplishment. It’s endorsed by Packer, Piper, MacArthur, Sproul, Duncan, Mohler, Ferguson… and the recommendations go on and on. It’s packed with terse information, illustrations, great biographies on more than 140 individual Puritan authors, overviews of over 700 individual Puritan volumes, a list of all the known reprints published beween 1956 and 2005, excellent articles ,and a glossary of terms used. At 900 pages, its a deep well of information. As clothbound, it’s made to endure years of use. Important helps include chapters on who the Puritans are, why we should read them, and short histories of the English, Scottish and Dutch Puritans. I found the short history of the resurgence of Puritan literature in the 20th century especially interesting. “With the Spirit’s blessing, Puritan writings can enrich your life as a Christian in many ways as they open the Scriptures and apply them practically, probing your conscience, indicting your sins, leading you to repentance, shaping your faith, guiding your conduct, comforting you in Christ and conforming you to Him, and bringing you into full assurance of salvation and a lifestyle of gratitude to the triune God for His great salvation” (xix). Perfect for the beginner and the more advanced reader, Meet the Puritans will help guide and direct your way through the forest of Puritan authors. Like I said, a monumental work! FREE: Reformation Heritage Books graciously provided The Shepherd’s Scrapbook with a special peak into the book… Here is one of the 140+ biographies in this volume: Dutch ‘Puritan’ Willem Teellinck, pp. 782-791 [download .pdf file]. 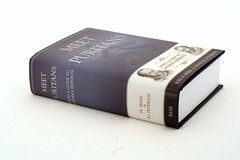 SPECIAL DISCOUNT: Purchase Meet the Puritans directly from Reformation Heritage Books for the special discounted price of $22.50 between November 21st and 30th. You need to do two things. First, call the bookstore directly (1-616-977-0599 ext. 2). Second, tell them you are “a friend of The Shepherd’s Scrapbook.” [While you are there, consider buying The Path of True Godliness, the incredible book on pursuing godliness by Teellinck you can read about in the free chapter above]. This book is highly recommended. 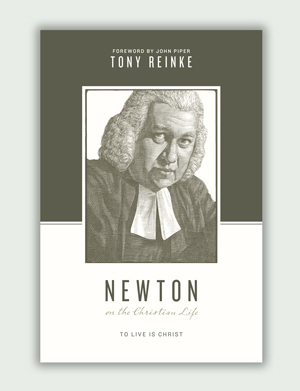 It is useful as an update and replacement for many of the outdated and sometimes inaccurate “lives” of the Puritans. I especially like the annotated bibliographical entries for later English editions. I got mine for $15 at ETS this past week and have already consulted it numerous times for a paper I’m writing on Richard Baxter. Did you have a “book of the year” in 2005 and earlier? 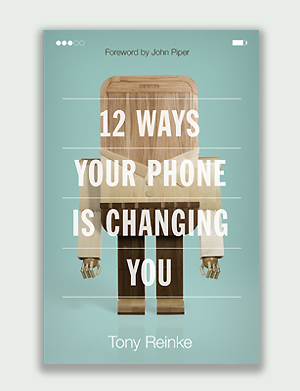 How did you get the privilege of announcing this book on your blog? What does it mean for the text to be “perfect type”? No book of the year in 2005. Our blog is just 6 months old. By God’s rich grace I have the opportunity to personally know many scholars, bible teachers and authors. Dr. Joel Beeke is one of the men I most look to as an example of godliness. I have shared time with him personally and seen the godly example of his family, associates and ministries. I keep in contact and when I hear that exciting things are happening that would be of interest to my readers, I ask permission to publish them. In this case, Dr. Beeke sent me an unedited pdf copy of the book to look over this Summer and I knew it was going to be a huge hit from the moment I saw it. There are now 2 ISBNs on each book published (one with 10 and the other with 13 numbers). I assume this is a transition from the 10 to the 13 number system to allow for more numbers due to a growth in publishing. “Perfect type” simply means that the text is not a facsimile reproduction like I find in a lot of the Puritan books I recommend. Perfect type means it looks like it was a Word document that came off a laser printer. I have found many good Puritan books that are not perfect type that I’ve held back from purchasing, in hopes that a perfect type edition will come out. Can’t OCR + spell-check end facsimile reproductions? jc, there are some newer edited versions of Puritan works that have been retypeset (gone through OCR and editing). The difficulty comes in using the older indexes to the Puritans. Take, for example, A Guide to the Puritans by Martin. The page numbers in the index refer to the page numbers in the traditional edition of each book. So for usefulness sake, the books are reprinted as facsimiles. This preserves the original pagination and also preserves the useful topical and textual indexes found at the end of so many Puritan works. Nice job getting this special deal. I can’t wait until I get it. I think it will help set up my reading plan for 2007. This will be a great resource to set up a reading plan. 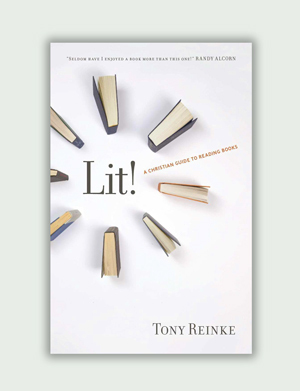 Beware that it is a little overwhelming when you find out that about 400 Puritan books would be great to read… This is a book that will outline a reading plan for the rest of your life. Amazing. If a person buys Meet the Puritans, can he now remove “The Devoted Life” from his reading/shopping list? What are the weight and dimensions of the book?